Hoang Pham is a Distinguished Professor and former Chairman (2007-2013) of the Department of Industrial and Systems Engineering at Rutgers University. He is also a co-founding member and an Associate Director of the Rutgers Center for Information Assurance. 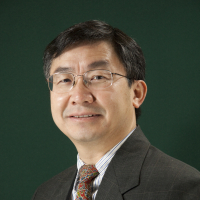 Dr. Pham has been served as Editor-in-Chief, Editor, Associate Editor, Guest Editor and board member of many journals. He is the Editor of Springer Book Series in Reliability Engineering, the Editor of World Scientific Book Series on Industrial and Systems Engineering, and has served as Conference Chair and Program Chair of over 30 international conferences and workshops. Dr. Pham is the author or coauthor of 6 books and has published over 135 journal articles, and edited 10 books including Springer Handbook in Engineering Statistics and Handbook in Reliability Engineering. Dr. Pham has delivered over 30 invited keynote and plenary speeches at many international conferences. His numerous awards include the 2009 IEEE Reliability Society Engineer of the Year Award. Dr. Pham is a Fellow of the IEEE and IIE.